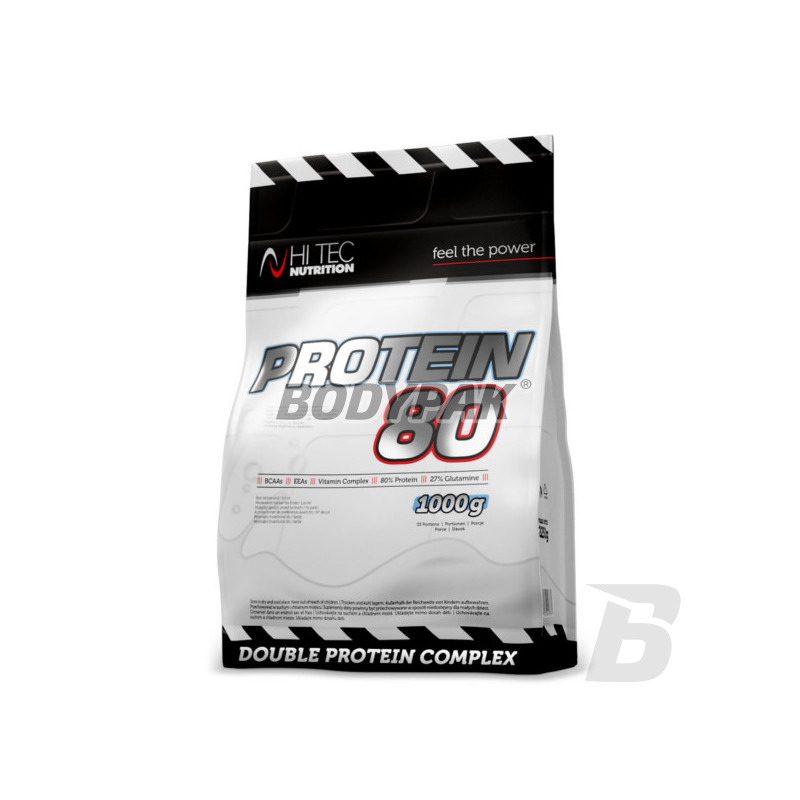 Hi Tec Protein 80 is a high-protein conditioner containing more than 80% full-value proteins. The preparation is the foundation for building strong and big muscles. With whey protein with a protein of wheat Protein 80 supplements the diet athlete's training hard in the full set of exogenous and endogenous amino acids, characterized by slow absorption. The individual protein components of the preparation complement each other thereby forming a product having high biological value BV = 105. A mixture of animal protein with plant provides an effective muscle growth with minimal accumulation in adipose tissue. Contained in the product whey protein concentrate it is characterized by a very high nutritional value and anabolic activity and immunostimulatory. The high content of glutamine and BCAA Protein 80 improves the nitrogen balance in the body and has a strong anti-catabolic effect. The product is especially recommended for high-performance athletes and physically active people. It is also an excellent protein supplement in the diet of people in a period of convalescence. 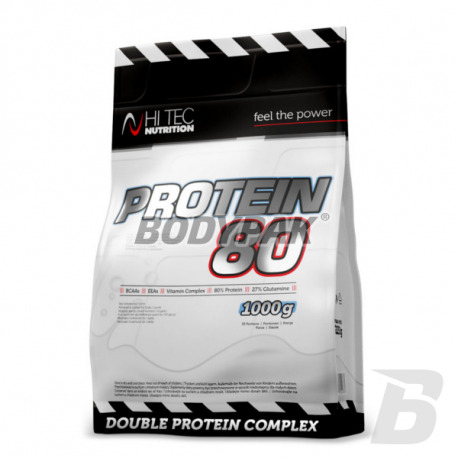 HI TEC PROTEIN 80 - UNIVERSAL SOURCE OF PROTEIN A GOOD PRICE! Ingredients: ultrafiltered whey protein concentrate, wheat protein , cocoa (for chocolate flavor, walnut, cream cakes), aroma, acidity regulator: citric acid, sweetener: acesulfam- K and sucralose, ascorbic acid , niacin (nicotinic acid amide), ethyl DL-alpha-tokofenylu, D pantetonian calcium, mono-nitrate thiamine, riboflavin, pyridoxine hydrochloride, D-biotin, folic acid, cyjanokobalina, lecithin, coloring: cochineal red A (for strawberry flavor ). Cochineal Red A - can have a detrimental effect on activity and attention in children.